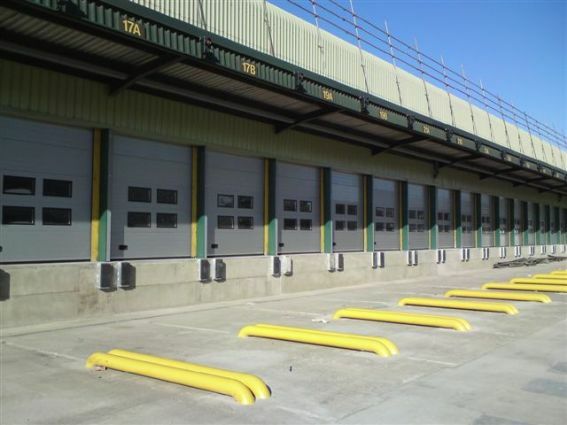 When you’re looking for excellent thermal efficiency, superior quality, maximum security and long-term durability, look no further than the ThermAdor range of insulated sectional doors. 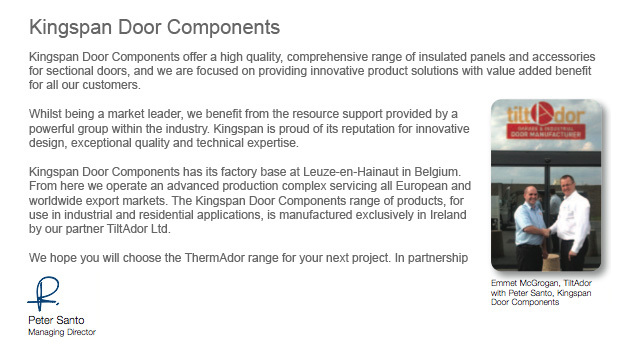 ThermAdor Industrial is suitable for openings up to 36m². 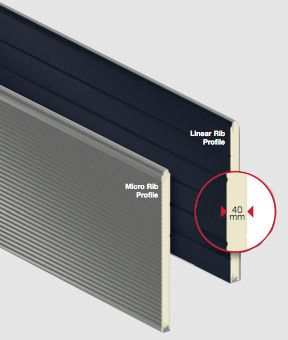 All of our ThermAdor Industrial insulated door panels are manufactured and finished to the highest quality standards in order to achieve maximum durability. 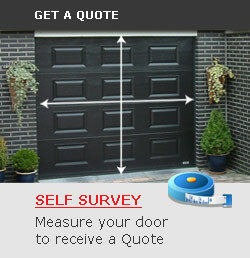 Our standard 40mm insulated door panels offer excellent energy efficiency with a U value of 0.51 W/m²K. ThermAdor Industrial 40 achieves an installed / complete door U-value of an impressive 1.2 W/m²K. ThermAdor Industrial not only looks good, it provides outstanding performance in all weather conditions. 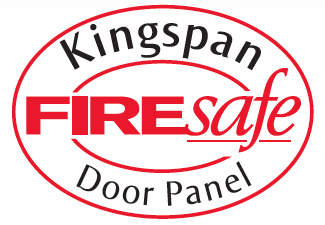 The door consists of 40mm thick interlocking panels, made of premium quality galvanised steel, filled with polyisocyanurate (PIR) insulation. The strength of the panel, along with full perimeter and joint seals, gives exceptional protection against wind and rain ingress. 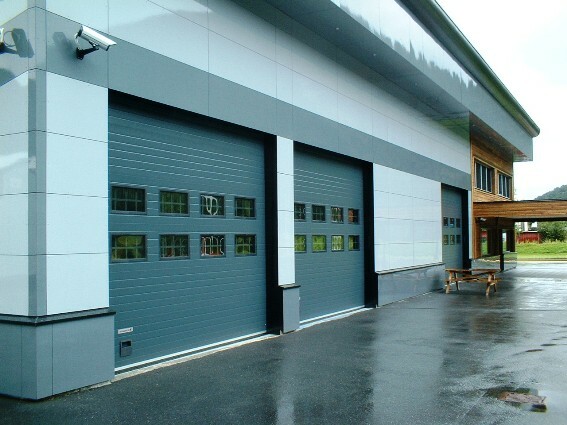 Every door is made-to-measure and, with two panel designs and an extensive range of colours and finishes, ThermAdor Industrial will enhance the appearance of any building. If quality, style and energy efficiency are important to you, then make ThermAdor Industrial your first choice. 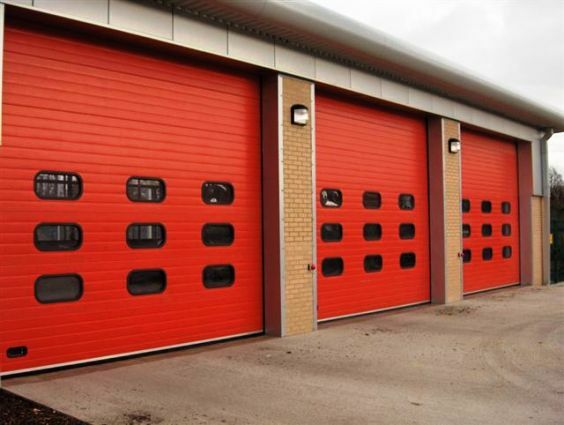 Our 80mm insulated door panels offer superior energy efficiency and low carbon emissions which deliver a significantly reduced panel U value of 0.24 W/m²K. ThermAdor Industrial 80 achieves an installed / complete door U-value of an impressive 0.54 W/m²K. 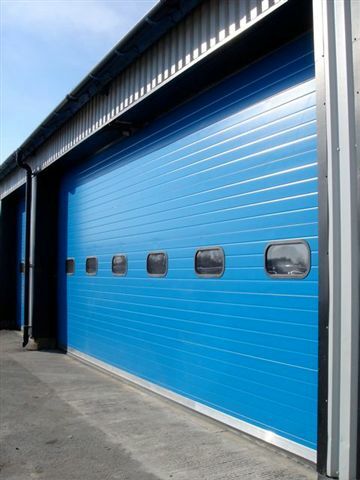 The door can withstand internal / external temperature differences of up to 40°C and help to provide a controlled sterile environment. This makes ThermAdor Industrial 80 suitable for use within temperature controlled and hygiene safe environments, such as food processing areas, cold and chill stores and clean rooms. 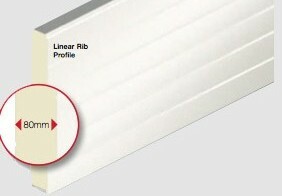 Available in White RAL 9010 Stucco Embossed Linear Rib. Other colours and finishes on request subject to minimum order quantity.